Welcome to Japan, the most running-obsessed nation on earth, where: a long-distance relay race is the country's biggest annual sporting event; companies sponsor their own running teams, paying the athletes like employees; and marathon monks run a thousand marathons in a thousand days to reach spiritual enlightenment. Adharanand Finn - award-winning author of Running with the Kenyans - moved to Japan to discover more about this unique running culture and what it might teach us about the sport and about Japan. As an amateur runner about to turn forty, he also hoped find out whether the Japanese approach to training might help him keep improving. What he learned - about competition, about team work, about beating your personal bests, about form and about himself - will fascinate anyone who is keen to explore why we run, and how we might do it better. It's not just about running. There is more to running than just one foot in front of the other. Mr. Finn covers many aspects of running in this short book, all the while from the perspective of the long-distance running culture in Japan - which I didn't know about at all until I read this book. It's also an interesting account of Japan through a Westerner's eyes. I recommend reading it. I enjoyed this book a lot. 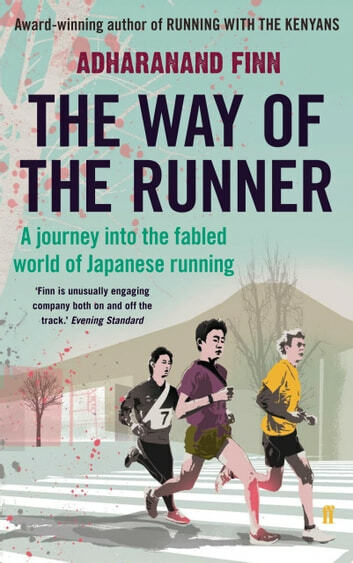 In a sense it is a somewhat awkward sequel to Running with the Kenyans, the premise that the Japanese are incredibly good at running but almost always runners up. That somehow sums up the book (a sort of runner-up to the very good book about Kenya). I enjoyed the reflections on how unusual life is in Japan for someone from the UK and how it affects the sport of running.